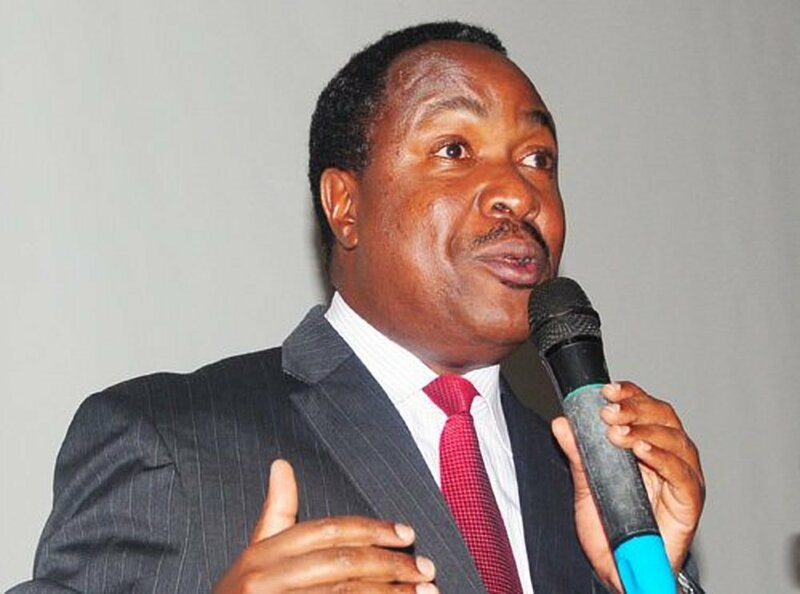 SHEEMA -Leaders of the opposition Forum for Democratic Change party on Sunday urged residents of the newly created Sheema Municipality to make a repeat of the Rukungiri District Woman MP by-election and defeat the ruling NRM party in the upcoming election for the Member of Parliament seat. While campaigning for the party flag bearer, Ms Virginia Plan Mugyenyi, the party leaders, who included party president Eng. Patrick Amuriat Oboi, Buhweju MP Francis Mwijukye, secretary for mobilization Ingrid Turinawe, FDC vice chairperson western region Roland Kaginda, FDC vice chairperson eastern region Salaam Musumba and secretary general Nathan Nandala Mafabi, said the ruling party has lost direction. “We have poor services in all regions, including Ankole. We have some of the worst roads in Sheema district; I have seen all of them. The education system in the country died longtime ago so you people of Sheema are supposed to show Museveni that in the 32 years he has not improved your livelihood and poverty has eaten the whole country including Ankole. Health system in the country has crumbled, and you are the people to save the country,” said Amuriat. Mr Mwijukye urged Sheema municipality to give him an opposition companion from Ankole region in Parliament. “I am tired of representing Ankole in Parliament alone, so if you give me another person, I will be the happiest because she will help me in mobiliSing and articulating our concerns. As you can see other regions are leaving us in terms of development because they decided long time ago,” he said. Amuriat also urged people of Sheema to enjoy the money that President Museveni donates to them like he did in Rukungiri but vote for the FDC candidate. “When Museveni comes here, ask for your share of the money. When he went to Jinja, he took there money when he went to Rukungiri Shs5 billion went there first another Shs 15 billion went there for the campaigns. When he comes here let him give you your share,” he said. “I have looked at your faces and energy; I am going back to Kampala to give a report to other leaders that there is energy and power in the people of Sheema., and this is a done deal,” he added. 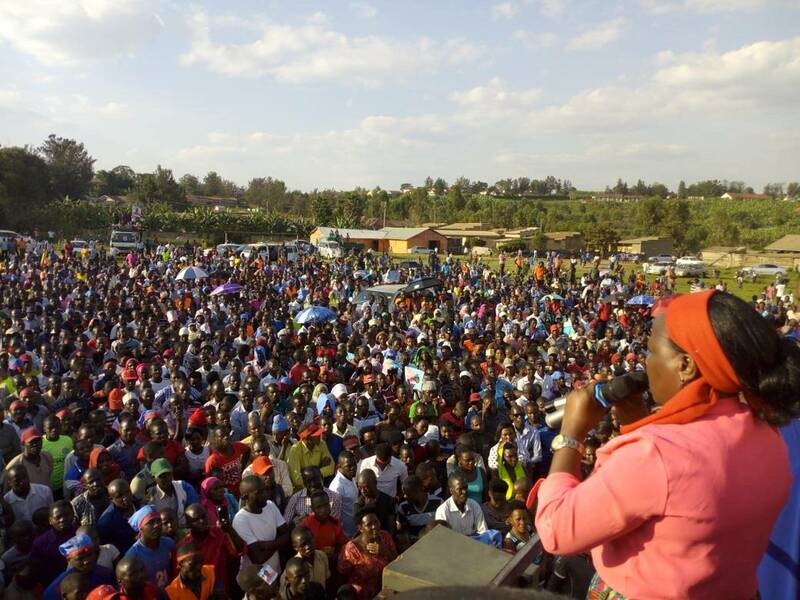 Ms Mugyenyi took a swipe at the NRM candidate, Dr Elioda Tumwesigye, whom she accused of being greedy by being an MP for Sheema North and now wanting to stand in the municipality. “We cannot allow our municipality to remain without a representative because the one I am competing with is an MP for Sheema North and he cannot represent two constituencies. Dr Elioda amended the constitution without consulting you, so you should show him that he should have consulted you,” she said. Seven candidates in the race for the election that will take place on July 19. They are Ms Mugyenyi (FDC), Dr Tumwesigye (NRM), and Independents Mesarch Katusiime, Ambrose Mwesigye, Jonas Tumwine, Raymond Akankwasa and Ben Ruyombya.